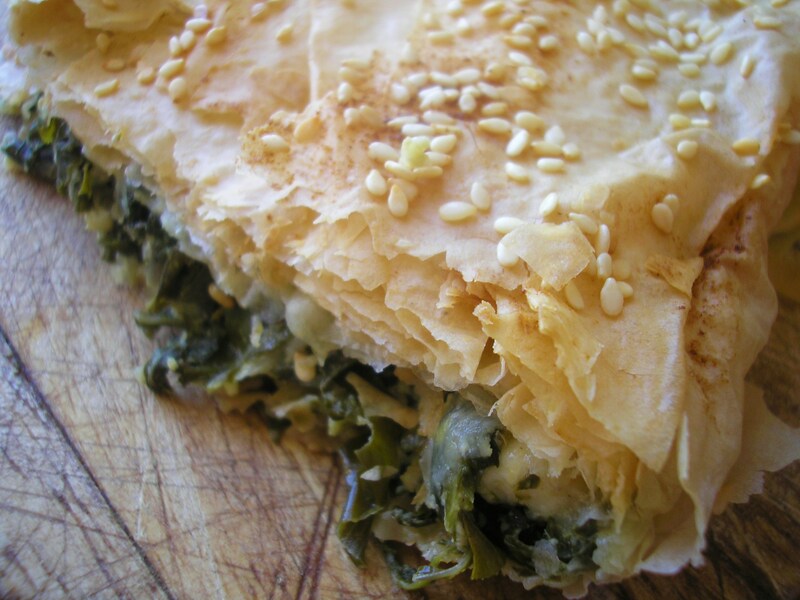 With the leaves I got from my parents’ garden I made a spanakopita. 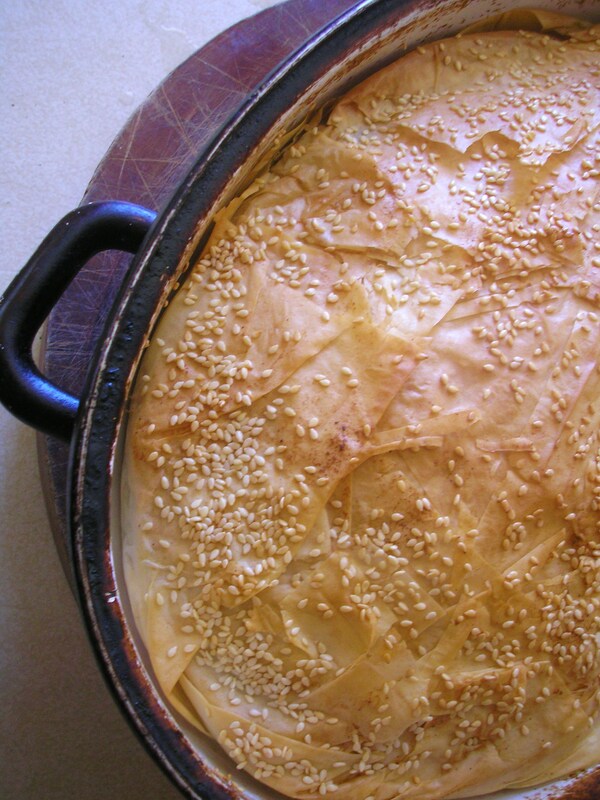 I have been making this Greek spinach and cheese pie for more years than I care to remember. The recipe has pretty much remained the same. 500 g spinach leaves, or any other young leafy greens you may have, washed. Roughly chop the spinach or greens. Blanch in boiling water for 1 minute or until just wilted. Drain in a colander and pour over cold water to stop the cooking process. Squeeze the spinach with your hands over a colander. When you have squeezed out most of the moisture, place in a large bowl. Add the cheeses, spices, mint, spring onions and the egg. Mix thoroughly. Spread your filo pastry on large bench. Cover with a damp tea towel. Melt 150g butter. Grease the inside of a large baking dish with some of the butter. Layer sheets of pastry, spreading butter with a pastry brush between each layer. Leave some overhang as this folds in nicely later. In the middle layer doubled over sheets of pastry, buttering between each layer. Fold in the outer edges. Brush with plenty of melted butter and sprinkle with sesame seeds (optional). Bake on the second to top shelf in a 220C oven for 15 mins, turn and bake for a further 15 mins. Reduce heat to 180C and cook for a further 20-30 mins, checking occasionally to make sure the pastry is not burning. Rest for 10 mins before serving.